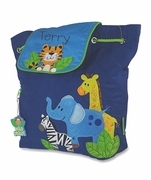 SOLD OUT AND DISCONTINUED....Baby will love it too... What makes this diaper bag so cool is all the roomy compartments to hold baby's everyday essentials. Two side magnetic wall pockets, three outside pockets and one velcro back pocket. 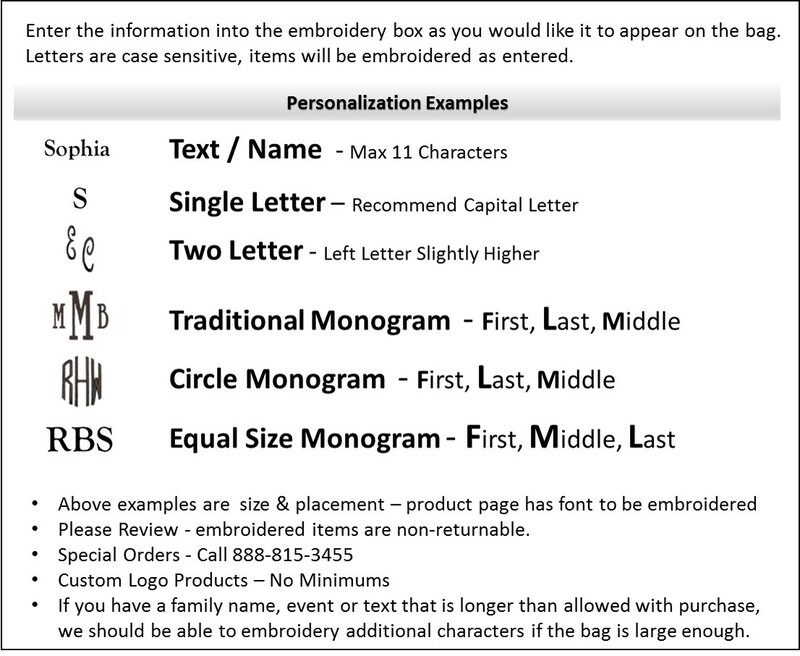 Fashionable tote that can be used as a travel bag after baby has grown. 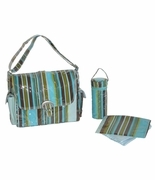 Cool diaper bag includes matching baby bottle holder. The laminated outer layer makes clean up easy, adjustable shoulder strap and flap closure with accent buckles. Nylon lined fabric interior. 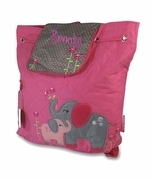 This cool diaper bag measures 13.5"W x 12"H and six inches across the bottom.